Everyone knows saving for retirement is a priority, because retirement is important and compound interest is powerful — but are the tax savings for retirement accounts so great that you should use them to save extra cash, too, such as for a hypothetical future home purchase? 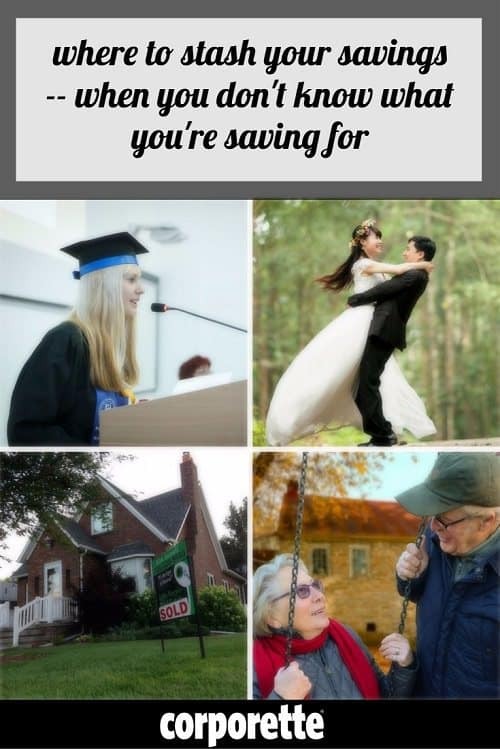 When I was in my late 20s — unmarried, not yet a homeowner, not sure how long I wanted to do the lawyer thing — this was my serious concern: cash savings vs. retirement savings. With my future so uncertain, and with so long to go before retirement, I wondered if I was losing more opportunities by saving money where I could get to it quickly, or by putting it away in retirement accounts… If I saved in cash, then my money was always available to me in case I wanted to buy an apartment, get married, or go back to school, but everyone told me to put it in retirement accounts instead to get the tax benefits (plus, retirement is important!). We haven’t gone into detail about tax-savvy investments like retirement savings accounts since 2012, so it’s definitely time for an update. What are the different retirement savings accounts available to most people? What are the tax benefits of them? 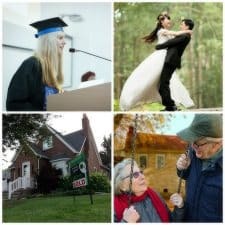 Can you use the money for anything other than retirement, like grad school, a vacation or wedding, or a home purchase? In the meantime, we’re shared posts on some pretty closely related topics such as setting financial goals for the year, making end-of-year money moves, choosing a financial planner, retirement savings in general, and paying down debt vs. saving. At election time last year, we talked about reacting to a stock market drop. What is it? By asking about “cash savings vs. retirement savings,” we’re defining cash savings as putting after-tax money in a checking or savings bank account, or a money market fund. (If you have a definite 2-4 year time frame, a CD or a CD ladder might be worth checking out — but note that stocks, bonds, and mutual funds may be too big a gamble if you definitely want to use this money sometime soon.) This is after-tax money that’ll have no strings attached; you can get it all out of the account tomorrow and use it for a wedding, for school, for a house, for a really (really) nice handbag. The downside to that freedom: The money is earning very little interest, and — because it’s already been taxed at your current income rate — you may have already taken a substantial tax hit on the money. Depending on what you do with the money, you may be taxed on it again, such as if you buy stocks or bonds with it — the sale of those stocks and bonds would be subject to capital gains taxes. How much can I contribute? Sky’s the limit (although you may want to look into FDIC-insured limits if you have more than $250,000 in cash as a singleton or $500,000 in cash as a joint owner). How does my money get invested? If you want the most freedom, your money probably is not invested. What happens if I withdraw money early? Can I withdraw the money for a wedding or a really nice vacation? Sure! Can I withdraw the money if I want to go back to school? Sure! Can I buy a house with the money? Sure! If you’re weighing whether to save money in cash savings vs. retirement savings, these are probably the main retirement savings vehicles you’re curious about. Note that for all of these, there are limits on what you can put in every year, so if you eventually decide not to go to school or buy that apartment, you can’t just dump your cash fund into a retirement account all at once. How much can I contribute? The maximum individual contribution for 2017 is $18,000 (which is much higher than IRA and Roth IRA maximums). The limit for employer contributions is $36,000. How does my money get invested? Here’s how FINRA characterizes the possibilities: “The average plan offers between 8 and 12 alternatives, sometimes only mutual funds and sometimes a combination of mutual funds, guaranteed investment contracts (GICs) or stable value funds, company stock, and variable annuities. Some plans offer brokerage accounts, which means you can select investments from the full range of stocks, bonds, mutual funds, and other types of assets, rather than having to choose among the plan’s alternatives.” Here are two articles that offer tips on making these choices: from Motley Fool and Investopedia. One simple and popular option is a target-date fund, which helps you manage risk by automatically rebalancing and reallocating your money as you approach your target retirement year. For example, someone who wants to retire in 2050 would choose a 2050 Fund. When you’re young and the fund is more focused on growth, more of your money will be invested in stock, while as you get closer to retirement, the fund becomes more conservative and more heavily focused on bonds and Treasury securities. You should still should review your investment portfolio and account from time to time. Note that your 401(k) is likely subject to fees, and they may be substantial. How much control do I have over my money once it’s in my 401(k)? It depends on your employer, but typically you can make changes in investments at least quarterly, usually by logging into your online account. A common recommendation is to review your investments at least once a year. What happens if I withdraw money early? If you withdraw funds from your 401(k) before age 59½, you’ll be hit with an excise tax equal to 10% of the amount distributed, plus the “ordinary income” tax. A few exceptions: You experience a financial hardship, or you become disabled (or die). Specifically, hardship distributions are withdrawals made due to a hardship: certain medical expenses, home-related costs (e.g., a down payment or house damage repairs), tuition, payments to prevent you from being evicted, and burial/funeral expenses. The IRS requires that a hardship distribution must be due to “an immediate and heavy financial need of the employee, spouse, or dependent.” What about loans? It’s possible — but not ideal — to borrow from your 401(k). For one thing, you’ll lose earnings on the money you take out. You can usually borrow 50% of your vested account balance (up to $50,000) to be paid within five years (that prevents it from being treated as taxable), starting within 90 days. Note that because your 401(k) is tied to your employer, any loan would have to be paid in full before you left the company. Can I withdraw the money for wedding expenses or a really nice vacation? Not without paying the penalty and taxes. Can I withdraw the money if I want to go back to school? If it qualifies as a “hardship” under the terms of your plan, you may be able to … but it probably isn’t likely. Can I buy a house with the money? 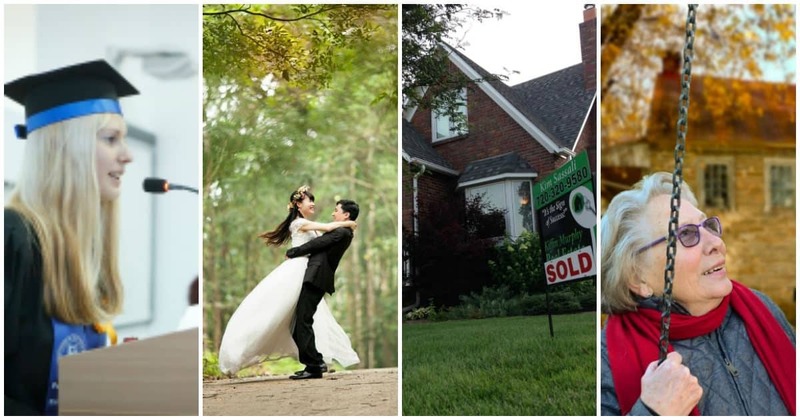 If the downpayment qualifies as a “hardship” under the terms of your plan, you may be able to. What is it? A traditional IRA (as opposed to a Roth IRA, which we get into below) is a retirement account in which — as with a 401(k) — the money you deposit isn’t taxed, neither the earnings within the plan nor your original contributions. (Note that, if you or your spouse has access to a 401(k) through your employer, there are income requirements attached to tax deductions on IRA contributions — if you make too much, you may only be allowed to take a partial tax deduction, if at all.) While a 401(k) needs to be employer-sponsored, an IRA doesn’t, and you can open one at any time. Your withdrawals during your retirement will be taxed at your ordinary income tax rate, and you’re required to start withdrawing money from an IRA when you reach age 70½ (and you can no longer contribute). If you don’t begin to do so, you’ll owe 50% of what you were supposed to withdraw. Here’s a calculator to help you determine whether a traditional IRA or Roth is right for your financial situation. Also note that self-employed people can open a SEP IRA or a SIMPLE IRA, which are different from traditional IRAs and Roth IRAs. How does my money get invested? Both traditional and Roth IRAs offer more choices than 401(k)s do, for example, stocks, bonds, CDs, annuities, mutual funds, exchange traded funds (ETFs), and even gold coins — and it’s good to diversify. Here’s a guide from NerdWallet on choosing investments. As with a 401(k), you can choose a target-date fund. How much control do I have over my money once it’s in my IRA? You can make changes whenever you want, but a common recommendation is to review your investments at least once a year. What happens if I withdraw money early? You’ll be subject to income tax and an additional 10% tax penalty if you take out money before age 59½, unless you’re using the funds for college expenses (for you, your spouse, your children, or your grandchildren), medical expenses (according to certain requirements), the purchase of a first home (up to $10,000), or expenses arising from a sudden disability. Can I withdraw the money for a wedding or a really nice vacation? Not without paying the penalty, as well as income tax on any earnings and tax-deducted contributions. Can I withdraw the money if I want to go back to school? If you’re using the funds for college expenses (for yourself or your beneficiaries), you won’t be subject to the penalty tax — just the regular income tax on earnings and tax-deducted contributions. Can I buy a house with the money? You can withdraw up to $10,000 without penalty for the purchase of a “first home” — but you still pay the regular income tax on earnings and tax-deducted contributions. What is it? A Roth IRA, a retirement account that was introduced in 1997, has the advantages of tax-free growth on your investments and tax-free withdrawals in retirement; unlike a 401(k), you won’t owe federal taxes on money you take out when you’re 59½ or older. Unlike with a traditional IRA, contributions to a Roth IRA are not tax-deductible. (An IRA can be converted to a Roth — requiring you to pay taxes on your original account — but it’s not always a good move.) While a 401(k) needs to be employer-sponsored, a Roth IRA doesn’t, and you can open one at any time. Unlike a 401(k) plan or traditional IRA, a Roth IRA doesn’t have required minimum distributions (meaning you don’t have to start withdrawing at a certain age) and can grow indefinitely. You can leave the money in a Roth as long as you’re alive, and when you die your heirs receive the funds tax-free. How much can I contribute? You can only contribute directly to a Roth IRA if your modified adjusted gross income is below $133,000 for single people, or $194,000 if you’re married and filing jointly; if your income limits are over that you may want to look into a “backdoor Roth.” The maximum contribution for 2017 is $5,500, even if you also have a 401(k), although people 50 and over can contribute $6,500. Unlike a traditional IRA, you don’t have to stop contributing to your plan when you reach age 70½; you can continue to do so if you’re still earning. How does my money get invested? Both traditional and Roth IRAs offer more choices than 401(k)s do, for example, stocks, bonds, CDs, annuities, mutual funds, exchange traded funds (ETFs), and even gold coins — and it’s good to diversify. Here’s a guide from Forbes on making these decisions. As with a 401(k), you can choose a target-date fund. How much control do I have over my money once it’s in the Roth? You can reallocate your funds whenever you want — but you should be aware of potential fees, commissions, and tax implications. A common recommendation is to review your investments at least once a year. What happens if I withdraw money early? You can withdraw funds from a Roth at any time, tax-free and penalty-free, but only from your contributions, not your investment earnings. Those earnings would require a 10% penalty (plus income tax) if you withdraw them before age 59½; there’s also a five-year rule to be wary of. Can I withdraw the money for a wedding or a really nice vacation? Yes, you can withdraw principal at any time. Can I withdraw the money if I want to go back to school? Yes, you can withdraw principal at any time. Can I buy a house with the money? Yes, you can withdraw principal at any time. Readers, how much are you saving in cash savings vs. retirement savings each year? Do you ever invest after-tax money that you might need soon? Do you have a 401(k), IRA, Roth IRA, or some cobination? Does your employer match your 401(k) contributions? Do you have a pension (not nearly as common as they once were)? Are you comfortable with how much you’re putting away right now? I have a current 401k and an old IRA from my old jobs. I also have a roth IRA, but it is tiny and I haven’t put much into it for many years since we are over the income limits. DH has a SEP-IRA (current) and an old IRA and an old Roth from his old jobs. The SEP limits are much higher, so ‘his’ retirement savings are much larger than ‘mine’ right now. We haven’t saved much other cash – the vast majority of our assets are real estate and retirement. I am looking forward to bulking up the non-retirement funds soon. I feel like HSAs should really be on this list – for those on eligible HDHP, they’re triple tax advantaged (no taxes on deposits, earnings, and withdrawals) and if you save the money instead of spending it, they can function as a retirement savings account that is easily accessible in case of health emergency. Unfortunately in my experience there are basically no good low-fee HSA providers if you don’t have one available through work. I have a great low-fee HSA through Select Account. They waive fees after you have a minimum amount of money (I think it’s $5k but I know for sure that it’s less then $10k). Whatever you do, stay away from Sterling for your HSA. They are awful and have stupidly high fees. Dad manages 1, 3 and 4 for me and I write all the checks in #2. YAY!!! Try a credit union for a low-cost HSA account. And I agree about HSAs – if you’re stuck with one, stuff as much $$ as possible in there. I haven’t worked in a traditional corporate job for 4 years now, but I still have been able to use my HSA for the bulk of my out of pocket medical costs. Apologies for the threadjack – does anyone have recommendations for good tailors in NYC? I am new to Manhattan and have three new suits I would like to get tailored (jacket, skirt, and pants). Thank you in advance! Beyond Bespoke in midtown. They do phenomenal work. They save the scraps in case you have any issues within 6 months. I’ve never had to go back for any mistakes and I’ve had some major alterations done there. We stuffed away enough to cover a large home repair (the roof), and everything else goes into a retirement vehicle. When we’re lucky enough to have leftover savings…I’ll hire a fee-only financial advisor.